I mentioned in the last post that Anita is now running the veggie garden, keeping some things, changing others, and in a couple of cases bringing back plants that I let decline for one reason or another. Violas are one of those things. They were one of the first things we planted here and several large patches did well for a while before declining when the skunks began digging aggressively in the garden. Now that we have a dog in the yard, the skunks are leaving the garden alone, and the violas should thrive again. More below the fold. 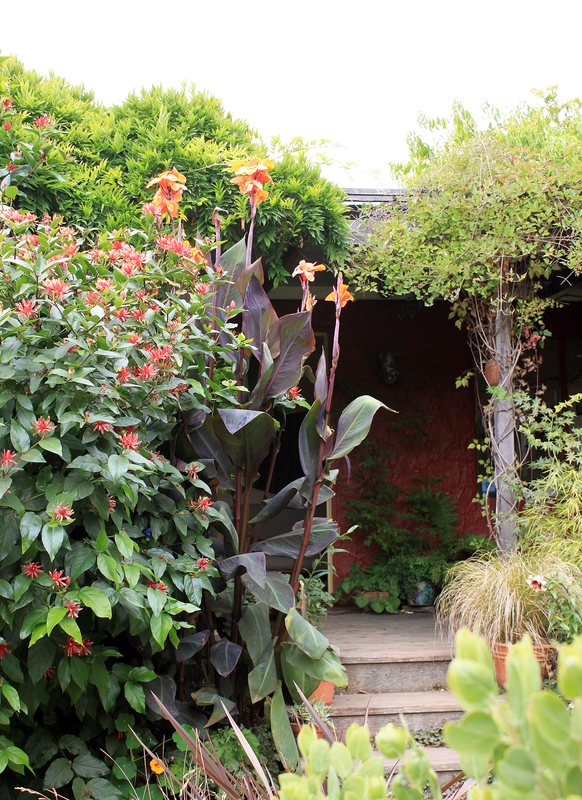 We’ve also had Scarlet Runner Beans since our first summer, coming back from the roots each year. Anita trained them early so they’re looking good against the bamboo. 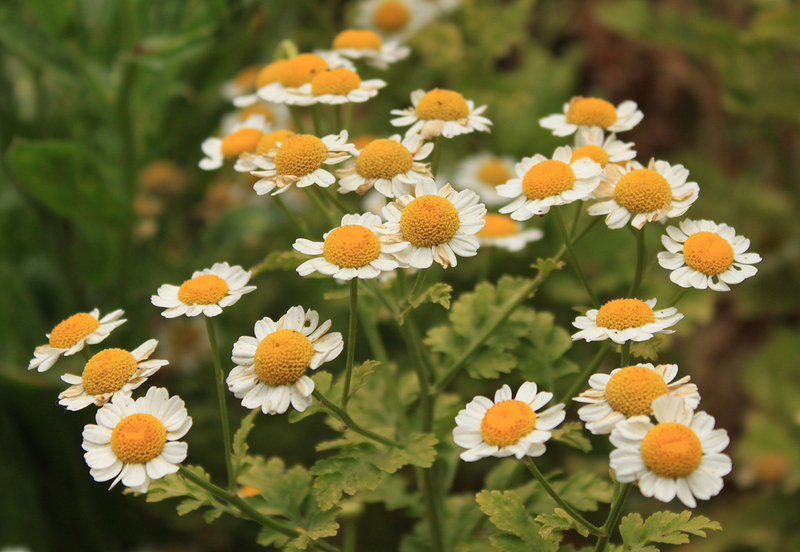 Golden Feverfew is another one of the first plants we put in the garden. I moved it a couple of times, eventually leaving it hunkered down underneath the Indigofera Bush. Now that the Indigofera is gone, removed during construction on our garden shed, the Feverfew gets plenty of sun and is doing its biggest bloom in several years. The Coyote Mint flowers are getting a little old, but I don’t mind aging blooms if this is the color. 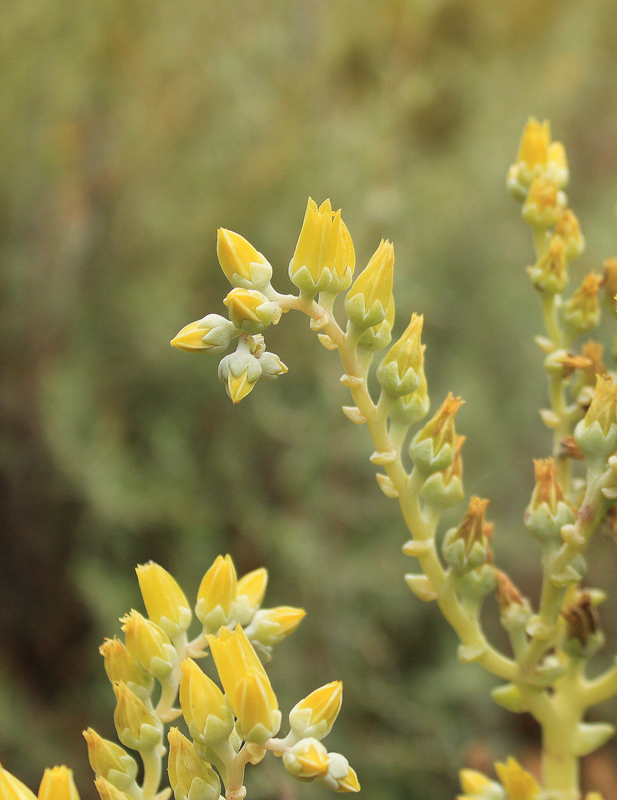 I don’t remember which Dudleya this is, D. farinosa or D. caespitosa. We have half a dozen different ones in the garden and one of my low-priority tasks is to go through and remember which is which. Kind of like the Spicebush, they are a favorite of mine and not exactly underappreciated, but I’ve been neglecting our little collection of them and I don’t show them in bloom day as often as these styley little flowers merit. 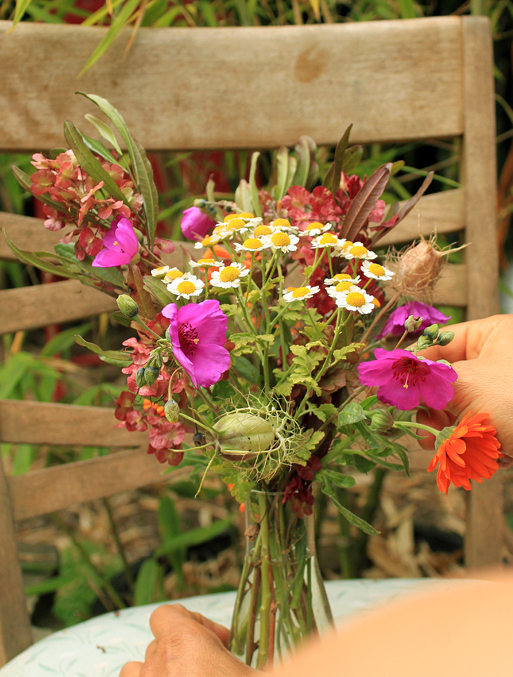 Anita made this quick bouquet today. We both thought it would be a struggle to make a floral arrangement or a bloom day post today, but as always there turns out to be more in the garden than we think. Which is actually one of the best parts of bloom day, it makes me realize how much there is in the garden at any given time. My thanks to Carol for hosting bloom day and essentially getting me to go out and appreciate our July flowers. 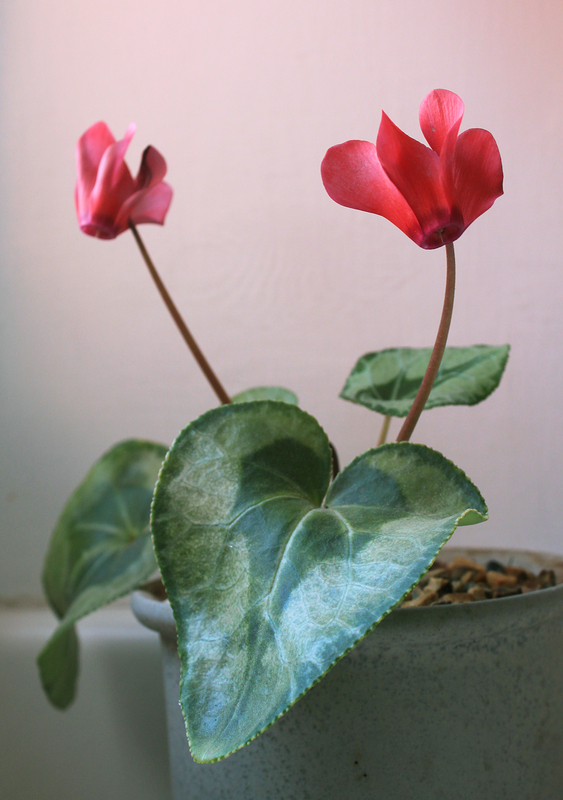 Click thru to see lots of other bloggers appreciating their flowers. And talking about underappreciated. I forgot to add this Cylamen that has been blooming for literally this entire year. It was left over from a Christmas container we did for my sister two years ago, then sat under the bench in our yard for almost a year until we potted it up and brought it inside. The first flower bud took over a month to open, but it has been in bloom ever since and there’s actually even a small bud out of sight behind the big leaf. 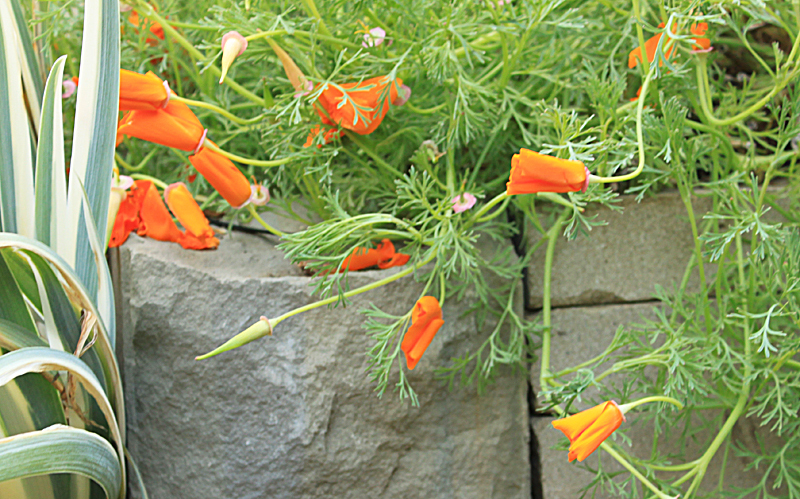 This entry was posted on Sunday, July 15th, 2012 at 1:31 pm and is filed under garden bloom day. You can follow any responses to this entry through the RSS 2.0 feed. You can leave a response, or trackback from your own site. I enjoyed your photos and your post because what you have is so different from what I have in my garden in upstate NY. 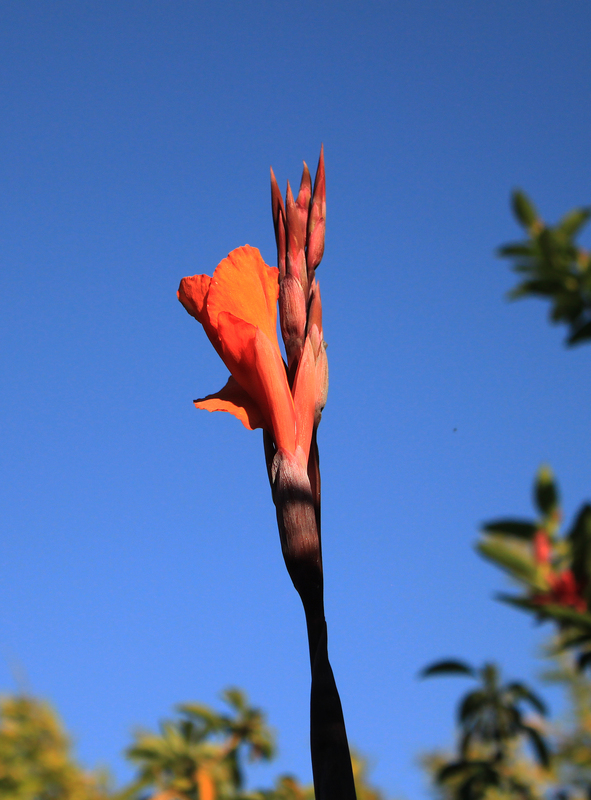 I miss cannas – when I lived in Wichita, KS these grew nice. For some reason, people here just don’t get into them. I, too, was a little surprised by what I had – happy July and happy GBBD. Cannas are funny plants. Ours always get a fresh lease on life when we dig them up and replant them. They are obviously loving their current spot. I like your theme of the under appreciated ones. Like that lone agapanthus in my yard! Your spice bush is tremendous – mine is kinda rangy. Maybe not enough sun, maybe not enough water, not sure. I’m also bad with dudleyas and keep meaning to get them straightened out. It’s possible I got mine wrong too in my bloom day post, come to think about it! Our coyote mint are also getting past their prime but the pollinators still throng to that patch. So I also am not complaining! 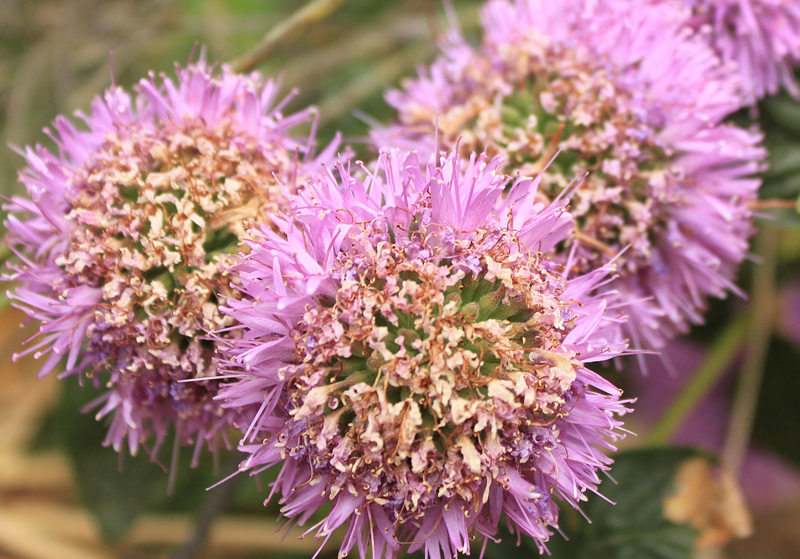 One of the most recent native plant books warned against using recycled water for natives, but it looks like you’ve proved wrong that piece of common wisdom, at least for this plant. Good to know it thrives. As far as your mystery dudleya, I’m not positive on what it is, but it might not be caespitosa based on how my clones of it look like. But I might be wrong on that one, still. 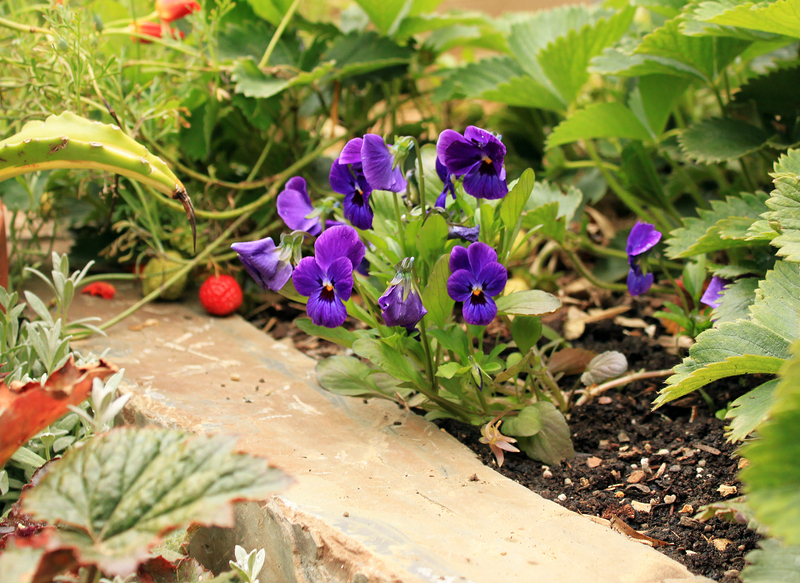 Unlike your underappreciated flowers, a summer salad with strawberries and viola blooms would be really appreciated. 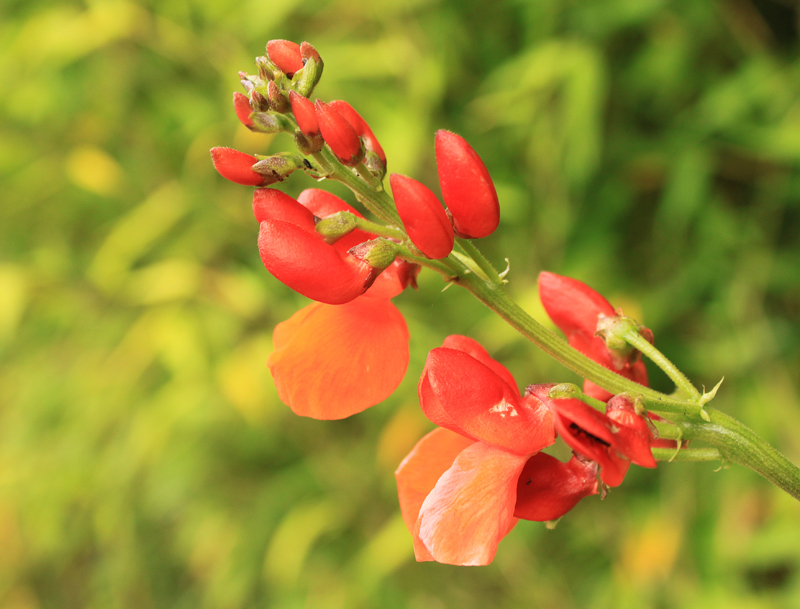 I still remember the first time I saw Scarlet Runner Bean…just LOVE them! Sorry I basically missed bloom day, good to see so much is going on in your garden. I agree about the coyote mint, it really looks great even when it’s on its way out.